Howdy loves! Finally updating my blog after three long weeks of being MIA. Yes, it’s really been a while! It’s another case of life overtaking blogging. Anyway, my boyfriend and I went to the airport yesterday to pick up my cousin who just got back from work abroad. But before heading to the airport, we took the chance to take outfit photos. 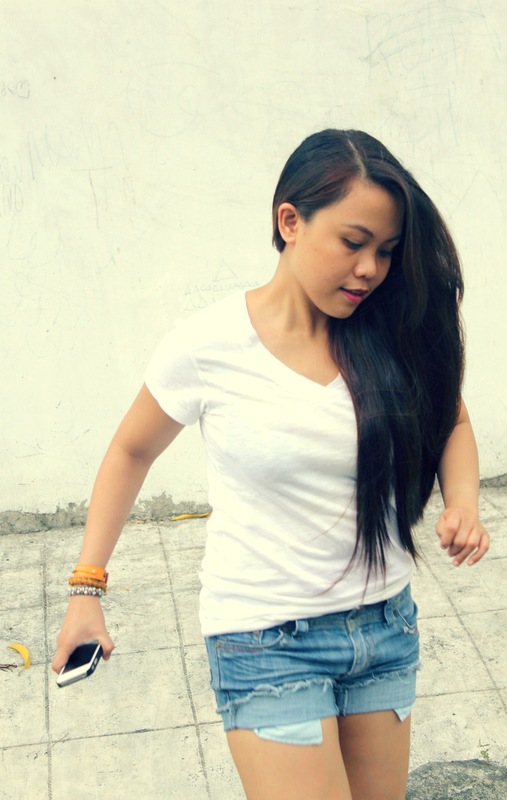 Here’s what I wore: crisp white shirt and denim shorts paired with chunky wedge booties to spice up the simple outfit. This entry was posted in Fashion, Outfit, Personal Style and tagged Bench, Fashion, iPhone4s, Lit Tabernero, Primadonna, SM Accessories, SM Department Store, Style, STYLELITSTIC, teenvogue, Thrifted on May 7, 2012 by STYLELITSTIC.